Available in three standard sizes, this premium telescopic platform completes your facility needs with forward-fold seats, classic bench seats or even portable seating. 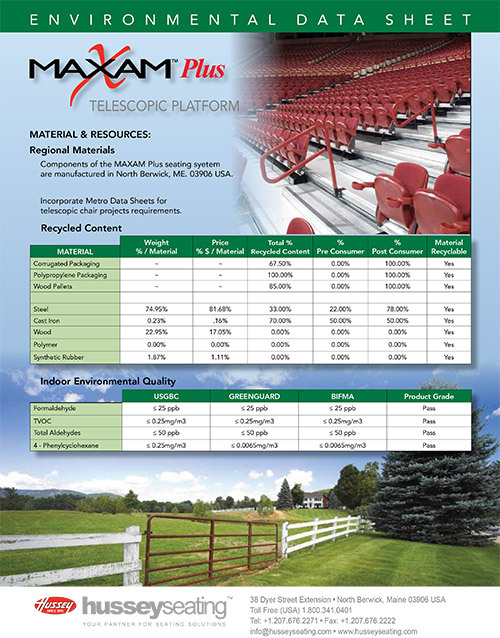 We took the flexibility, reliability and customization options of our signature MAXAM telescopic bleacher and increased the durability for a premium telescopic platform built to withstand any crowd. With the additional seat option of the stylish Metro™ chair, your MAXAMPlus telescopic platform will exceed your design expectations.